THE Colleges of Education Academic Staff Union (COEASU) has given the Federal Government a 60-day ultimatum to meet its demands. In an exclusive interview with Vanguard Learning, Okoro said: “we have packaged all the issues facing the teaching education sector. If we do not see concrete action within 60 days, we will employ non conventional industrial methods to make our voice heard. What we are asking for is not much; most of these demands can be met with as little as N26bn. After a one week warning strike, the Union met with government representatives at the office of the Minister of Labour and Productivity, Emeka Wogu, last Thursday. the non allocation/release of funds (N2,344,765,841) for crucial academic activities like accreditation programmes, among others. Meanwhile, in its bid to forestall another strike action by COEASU, the Minister of Labour and Productivity, Wogu, has signed a Memorandum of Understanding with COEASU which charged the Federal Ministry of Education to, as a matter of urgency, meet with the Union to determine some of the issues at stake. 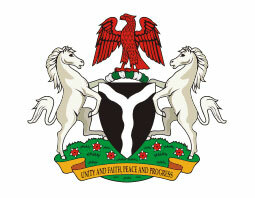 That in consideration of the above conciliatory meeting which is at the instance of the Minister of Labour and Productivity, the meeting shall reconvene after 60 days to consider progress made in respect of the outstanding issues now referred back to the Federal Ministry of Education.